If you're on a Mac but want to know what the Windows 7 Beta fuss is about, the SimpleHelp weblog walks through installing Win7 using Boot Camp, Apple's solution for dual-booting Windows on a Mac. 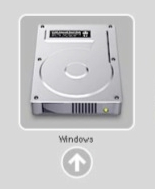 We've already covered how to dual-boot Windows 7 with XP or Vista, and the good news is that installing Win7 on your Mac is just as simple: All you need is your Leopard installation DVD, the Windows 7 Beta, 10GB of free hard drive space, and a few hours. What's your take? Are you willing to put a beta version of Windows on your Mac just to see if the eye candy is worth it?